You can listen to '(For God's sake) Give more power to the people' here. Ten years ago the world shook on its foundation, it seems, when Joss Stone, 16 years old, debuted on the record market with Volume 1 of the soul sessions. Words were not enough for the predominantly male (probably middle aged) men to raise praise for this album. Almost suspect, I guess. The attention did serve a purpose as the album and Joss Stone were propelled into the charts. She became a star overnight. What followed were slick albums with her own work that did not have a lot of interest for me personally. I had Vol.1, but it just wasn't really my cup of tea. What I did like was her authentic voice, supple, rough with an edge, more woman than girl. So when LP1 was released in 2011 I was surprised. A change of form that I thought was interesting and listened to regularly. This was followed up with her contributions to Superheavy, the all star band with Jagger, Marley, Stewart and Rahman. Her voice blended superbly with Jagger and Marley. And in 2012 another album. A revisitation to the concept of her debut album. Classic soul songs in a new version. And people, it swings like crazy. Nothing new under the sun, but vol. 2 almost rocks at certain points as in 'While you're looking for sugar'. The warm organ sound and clear rhythm just takes you away from this grey, wintry morning. This is the main difference with Vol. 1, there's more up-tempo songs. Also Ms. Stone songs more brazen as the woman she now is. To me it's clear she knows what she wants, where ten years ago others knew what she wanted for her. Vol. 2 allows for some funk, as in 'Play that funky music' guitar sounds, into the mix. Some wah-wah guitar. With 'Teardrop' of the Womacks, she allows a more modern and number 1 hit song to become part of the album. Most other songs I hadn't heard before, as not being a real soul music listener. When the tempo goes down a bit, 'The love we had (stays on my mind)', the music drifts a bit in the Whitney, Mariah direction and becomes less interesting fast. The Pink Floyd like guitar in the intro to 'The high road' makes up for this dip (not to speak of the refrain!). It does make the record more diverse and in that way even a song like 'The love we had ...' works and gets me across to the next one. It may be said that Vol.2 is nothing else then a retreat to a safe spot in a failing career. Whether it's true or not, this album is a treat of soulful music that fans ought to embrace. If a career is failing here, it's because former fans must have too much wax in their ears. LP1 is a good album, Superheavy a truck load of fun and this album is the icing on the cake as far as Joss Stone goes. The production is superb. Great in sound, clear and forceful. 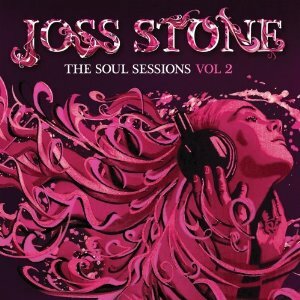 Lush arrangements that occupy my whole brain when listening on the headset and above all else Joss Stone sings in great form here. She lives up to every promise she made in 2003 with Vol. 1. If I were a Joss Stone fan, and I'm not one to be honest here, I would be overjoyed with this album, as I am quite happy with it. Need I say more?